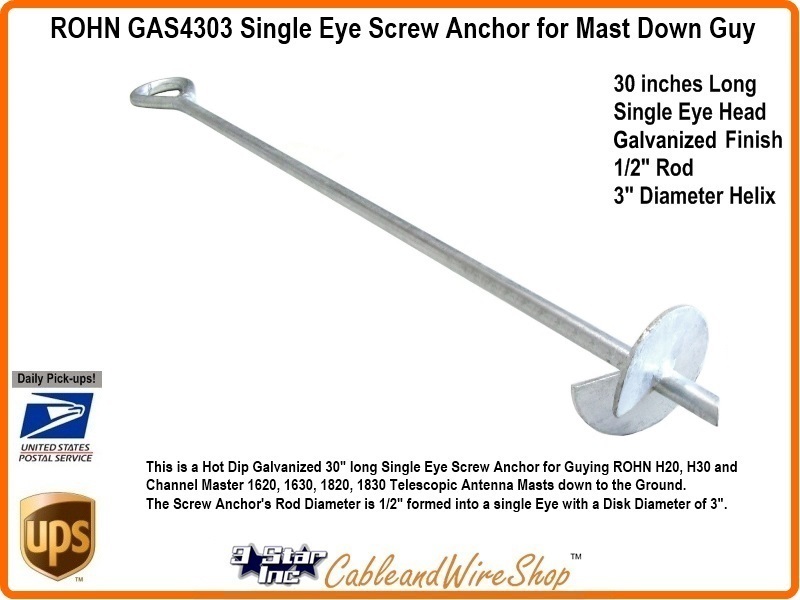 This is a Hot Dip Galvanized 30" long Single Eye Screw Anchor for Guying ROHN H20, H30 and Channel Master 1620, 1630, 1820, 1830 Telescopic Antenna Masts down to the Ground. The Screw Anchor's Rod Diameter is 1/2" formed into a single Eye with a Disk Diameter of 3". NoteThough this item has been purchased with the idea of use in temporary 25G Tower erection, it is not recommended. It is designed for use in down guying Telescopic Antenna masts. Masting Accessories that include Down Guy Rings, Anchors, Wire, Screws, Clamps, Pitch Pads or Rubber Mats, Wire Thimbles, etc! Though most Mounts come with the minimal amount of Requisite Hardware, it by no means accounts for all Mounting Options, Materials and Custom Installation Scenarios. 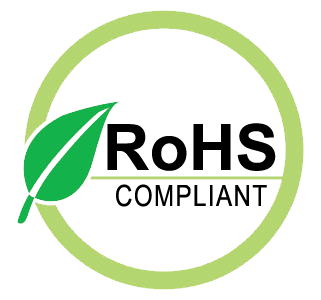 Take a moment to Consider the Options and Materials in Use. Then Select the Appropriate Hardware to realize your Goal. The Flexibility and Longevity of any Mount to Match the Mounting Conditions may depend on it.